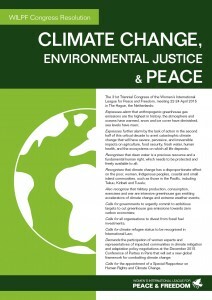 Earlier this year, at the meeting of its centenary congress, WILPF passed a resolution on Climate Change, Environmental Justice and Peace. 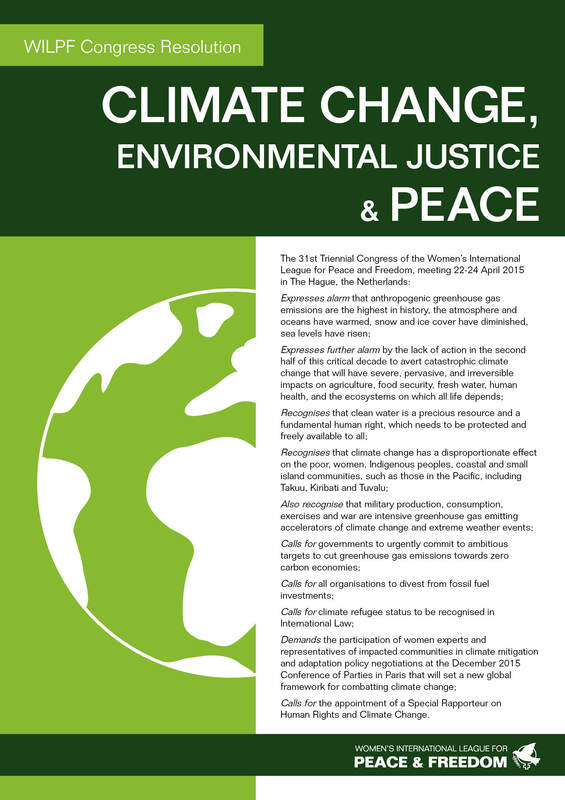 The Resolution calls for urgent government action and international divestment from fossil fuel investments, as well as the appointment of a Special Rapporteur on Human Rights and Climate Change. Read the Resolution in full.